This page contains Home Publishing Software and Resources. For more than 100 years Hallmark has designed greeting cards for life's special moments. 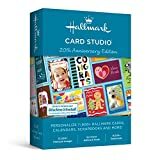 Hallmark card Studio Deluxe extends this tradition, making it easy to create one-of-a-kind Hallmark cards as unique as the people you care for. In three simple steps you can add personal photos, sentiments and clip art images of your choosing. With Hallmark card Studio Deluxe software, cards are just the beginning. Commemorate events and bridge the miles between family and friends with customizable calendars, photo frames, stationery, invitations, scrapbooks, award certificates, 3D projects and more. It's amazing what you and Hallmark can do together!. For more than 100 years Hallmark has designed greeting cards for life's special moments. Hallmark card Studio extends this tradition, making it easy to create one-of-a-kind Hallmark cards as unique as the people you care for. In three simple steps you can add personal photos, sentiments and clip art images of your choosing. With Hallmark card Studio software, cards are just the beginning. Commemorate events and bridge the miles between family and friends with customizable calendars, photo frames, stationery, invitations, scrapbooks, award certificates, 3D projects and more. It's amazing what you and Hallmark can do together!. Print Artist Platinum 25 is unlike any print software you've ever owned -unparalleled quality and unprecedented ease of use together for the first time. Only Print Artist Platinum gives you the creative edge with 28,000+ professionally designed templates and 377,000+ sensational graphics. Perfect for creating sensational print projects for home, school or the office. From banners to brochures, calendars to certificates, greeting cards to gift items, no other software makes it more fun to create truly spectacular projects. Print Artist Platinum 25 is state-of-the-art software on DVD. You'll love the powerful, yet easy-to-use creative tools including an Advanced Photo Editor, Text Customization, Special Effects Gallery, CD Photo Slideshows and much more. With these limitless creative tools, your projects will have a professionally-designed, custom look that truly raises the bar in print creativity software. Print Artist Platinum 25 -from the #1 publisher of home graphics software. Now you can make the best of your new Hallmark Card Studio software with Hallmark Premium Blank Greeting Cards. It's easy to print customized greeting cards for any event or occasion. This high-quality, heavyweight card stock is coated, 85 lb Matte for vibrant color and crisper text. And it's designed to work perfectly with your Hallmark Card Studio software and color inkjet printers from Lexmark, Epson, Kodak, HP and Canon. Create greeting cards, invitations, labels, calendars, business cards, flyers, posters, bulletins, party supplies, and so much more! If you can imagine it, you can create it! Whether you are capturing a memory or adding a splash of creativity to your life, PrintMaster has everything you need and more. From greeting cards, to invitations and party supplies, to scrapbooks and photobooks, to banners and newsletters, you can be sure our new and improved features make your imagination come alive like never-before. Get started in our design software with over 4,800 project templates, or start from scratch using over 15,000 royalty-free images, and use the design tools to add your personal touch! With PrintMaster Platinum, the only limit is your imagination. Put more than 1,300 royalty-free images and graphics suitable for commercial use to work for you. Sports Art clipart is perfect for parents, teachers, schools, for use in crafts, scrapbooks, calendars, stickers & labels, and much more! This Sports Art Pack has over 1,300 clipart images perfect for schools, families, organizations and more. Put more than 1,300 royalty-free images and graphics suitable for commercial use to work for you. Sports Art has a huge variety of images based a wide variety of sports activities. The royalty-free content gives you the flexibility and rights to use them for any project with no restrictions. Sports Art is the perfect collection for you to add some graphic flair to your project without having to be a graphic designer. It includes a huge variety of art images including but not limited to: football, pool, soccer, baseball, basketball, volleyball, golf, tennis, track & field and so much more! It even includes a large variety of animal images that would be the perfect mascot for your team. Whether your project is for business or pleasure, Sports Art can be used for anything. You can even design t-shirts or hats for your sports team and sell them. Some of the wide variety of uses includes: banners, t-shirts, hats, logos, icon, web graphic, newsletter, scrapbook, calendar, and so much more. Sports Art clip art images are in a standard graphic format png so they can easily be imported into any program that accepts these including Logo Design Studio Pro, Business Card Studio, Print Shop, PrintMaster, Microsoft Word and Powerpoint, and many more. Royalty-free content gives you the flexibility and rights to use them for any project with no restrictions. Additional Requirements: Macintosh® OS X 10.7-10.10, keyboard & mouse. It’s easy to create incredible print projects with this Print Shop v.23. Choose from 3 different ways to design. You can design from scratch, customizable projects or choose from 8,500+ professionally designed templates for a wide variety of projects, including greeting cards, invitations, labels, matching stationery sets, newsletters, crafts and more. Customize your design in seconds with the easiest design tools around. You can add your own text, photos, graphics and word art. Includes 150,000+ premium images, photos, borders, frames and embellishments. Plus, EASY photo editing tools like red-eye removal, color correction and even edit your vector images in the graphics editor. It includes 2 CDs. The Print Shop is back and better than ever. For 30 years, America's favorite desktop publishing software has continuously added new features and functionality to give you maximum flexibility in your personal and business creative projects. The newest version adds several new frequently requested features to The Print Shop's deep toolset, including an all-new streamlined user interface, 1,000 new royalty-free, commercial use professional templates, header and footer master pages, custom border creator, the ability to import Photoshop files, improved Avery label tools and much, much more! 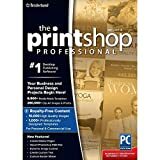 The Print Shop is packed with tons of easy text editing and page layout tools, over 250,000 fun clip art images and photos, over 10,000 royalty-free commercial use images, 1,000 royalty-free templates, great photo editing tools and everything else you need to create impressive projects for home, work and school. Get started quickly by choosing from an enormous gallery of professionally-designed templates including Signs and Banners, Calendars, Newsletters, Greeting Cards and more. Unleash your creativity with The Print Shop! For more than 100 years, Hallmark has designed greeting cards for life's special moments. 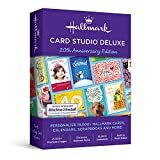 Hallmark Card Studio 2019 extends this tradition, making it easy to create one-of-a-kind Hallmark cards as unique as the people you care for. From birthdays and holidays to special occasions and every day greetings, you’ll find the perfect card for virtually any occasion.